We have now reached the halfway point of 2013, and like any other critic obsessed with rankings and arbitrary lists, I’ve decided to share some of my favorite hip-hop albums and mixtapes of the year (so far). Admittedly, I didn’t think 2013 would provide as well as it has, but with a plethora of diverse works and records already out and six more months of music to add, this is going to be a good year for hip-hop. It already has been. So without further ado, here are my favorite hip-hop albums/mixtapes of 2013 so far. Let me just say that Duke Westlake nailed the production on this mixtape. 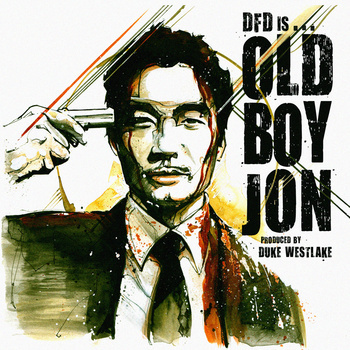 To be completely honest, I’m not a big fan of glossy and clean-cut production like this, but Westlake completely works with Dumbfoundead’s style. Although DFD finds himself searching for content throughout this album, it’s his ability to turn this album into a visual party that makes this worth the listen. I’ll say it right now: I think Ghostface Killah is the most consistent Wu-Tang member when it comes to solo work. With the exception of the mediocre Ghostdini, all of Ghost’s work profiles the best while bringing in something new and unique. I can gladly say that Twelve Reasons to Die follows suit. 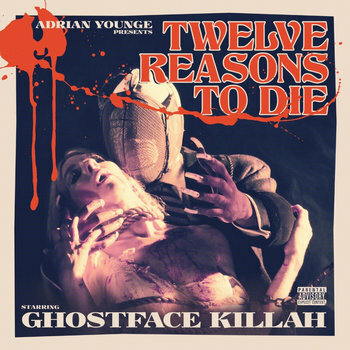 Here Adrian Younge takes control of the production and layer cakes this record with a cleverly crafted sandbox of haunting sound that gives the sword-wielding and fist bashing lyrics a deeper meaning. I would argue that this record would be better if it was cut shorter, but there’s no denying how sweet it is to listen to such chemistry. Homeboy Sandman is an MC from New York City and is signed with Stones Throw Records, a West Coast production company. Not that this really matters or anything, but if you follow Stones Throw (think Madlib, Guilty Simpson, J Dilla), then you know their unique underground hip-hop sound. 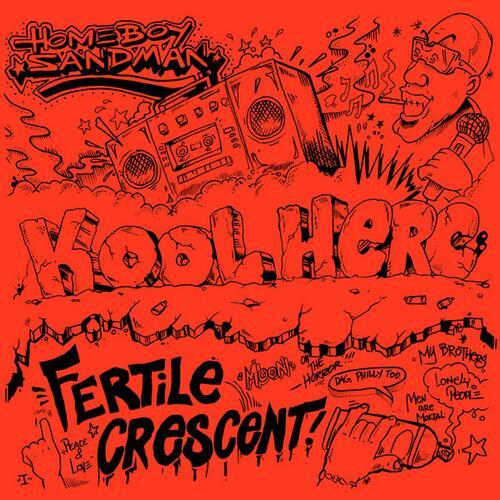 With Kool Herc, you’re basically getting another Stones Throw, Adult Swim-esque record, but it carries itself well without this label. “Dag, Philly Too” sounds like a smarter Das Racist cut, “Lonely People” mirrors Quasimoto and crafts its own shape, and “Men Are Mortal” rattles your head lyrically, but in a good way (“I been the infamous since drinking infant milk / Whomever want to cause an incident I be like “It’s a deal” / I’m not interested in spending an instant with the infidels / Can tell I used to read Fidel and rock Big L”). I’ve always been impressed with Joey Bada$$ because of his seemingly effortless flow, his respect of 90s hip-hop and the mere fact that he’s only 18 years old. After his 1999 mixtape hit the interwebs last year, I knew we had something special. Now that his second solo mixtape, Summer Knights, is out, I now realize Joey Bada$$ may be the second-coming of something. See, I can’t quite equate him to someone comparable, but maybe that’s why he’s so appealing. He is quite literally a new-age rapper with a 90s Golden Age mind. With that being said, he’s so much more than that. His flow is confident and smart, and yet he still carries his youth with him—which is probably why fans of all eras of hip-hop find this kid mystifying. On Summer Knights, Bada weaves stories of youth (“Trap Door”) with lessons to live by (“Word Is Bond”) while flooding the speakers with crisp cadence and guest appearances by Alchemist, Smoke DZA, DJ Premier and more. Australian producer Kid Tsunami is one for nostalgia on The Chase. His beats sway easily, leaving a lot to the MC on the track, but don’t confuse this with simplicity. On “What It Was”, the construction of the song consists of a tumbling bass and Gang Starr-like horns, and although guest J-Live is the center, it’s too hard for him to conceal the contents of Tsunami’s beat. Elsewhere, KRS-One runs on “These Are the Facts”, a swift track that could accompany a car chase scene, and “Ar Toxic” a lounge-like song with guitar twangs and Kool Keith’s recognizable bars. If R.A.P. Music hadn’t been released the same year as good kid, m.A.A.d city, it would have been “album of the year.” That’s because Killer Mike and El-P constructed a package so unique and revealing that it almost threw us all a curve. Their 2013 project is different stylistically, but just as rewarding. Run the Jewels is a harsh listen, and might even be a turnoff for those not familiar with El-P’s production (especially his work with Company Flow), however it’s harsh for all the right reasons. El-P mixes each song with choppy blips, buzzing, choppy guitars, cymbal smacking and dark and heavy synths that stab and smother. What’s most notable about Run the Jewels is that El-P retains his rapping skills and compliments Killer Mike in every way. Since R.A.P. Music didn’t grab “album of the year” in 2012, I have no problem with Run the Jewels capturing 2013. Not only does every track on Extended Play standout with Statik Selektah’s timeless East Coast boom-bap production, but every track also features emcees of all eras coming in and showing off. There are 38 guests in total ranging from Action Bronson and Black Thought to Prodigy and Smif-n-Wessun, and while at times this record has a mixtape-like feel with disheveled content and parity, there’s no denying Stat’s ability to construct a solid record from top to bottom. The variation within the album is there too. On “Game Break”, an airy track with skinny piano chords, backing synth coos and a SWV sample, Lecrae, Posdnuos and Termanology talk about the game making them better men (“Get something man, cultivate a creation / Don’t blame it on your lack of education”). Comparatively, “Pinky Ring” sees Prodigy spitting over a funk-driven track with eerie background squeaks and loose percussion swells. See, Extended Play might not be as cohesive as other albums, but it successfully melds different sounds and eras into one of the most listenable records of the year. From an outsider’s standpoint, Ugly Heroes is a concept album that covers everything from class structure to human emotion, but once you delve into the record it becomes apparent that it’s an anthem for hip-hop as a whole. Though most of the record is negative and downtrodden in content, songs like “Just Relax” and “Push” gives Ugly Heroes a light of confidence that only strengthens it as a whole. 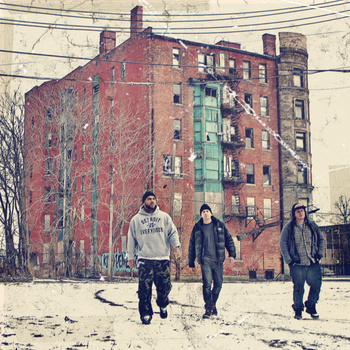 Red Pill and Verbal Kent are sincere and bold throughout, and Apollo Brown’s lush sample-heavy production provides the two MCs a beat to march to. Even with all of the hype surrounding this project, Ugly Heroes exceeded expectations in almost every category.